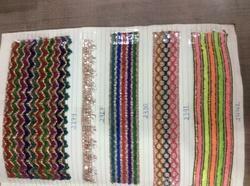 We are a leading Manufacturer of crochet lace, fancy crochet laces, embroidery crochet lace, designer crochet laces, designer crochet lace and fancy crochet lace from Surat, India. Backed by seasoned and expert professionals, the company is known to deliver a range of premium quality range of Crochet Lace. The product is known for its smooth finish and attractive designs. This product is very competitively priced to match the customers' expectations. 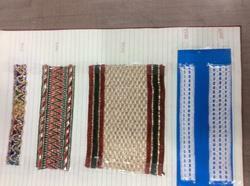 Furthermore, this product provided to customers in various colors, designs, and patterns. Crochet lace is uniquely designed keeping in mind the preferred selections of valuable clients. We are a brand highly acknowledged for the superior quality and affordable pricing. With the consideration of cutting edge innovation and imaginative machines, we are occupied with offering a far reaching scope of Fancy Crochet Laces. Our item is widely requested in local markets. This item is entirely reviewed on different parameters guaranteeing life span of our items by our quality assessors. We offer this ribbon in fluctuated sizes, hues, examples and plans keeping in mind the end goal to fulfill variegated requests of our customers. 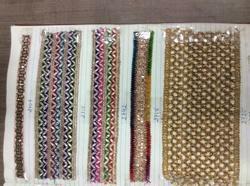 We are eminent as the lead manufacturer and supplier of Designer Crochet Lace. 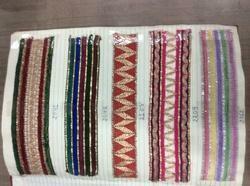 Offered with brilliant and dazzling outlines and examples, these laces are profoundly requested in the business sector. The whole range is created by utilizing ideal quality fabrics and modern innovation by our talented creators. In accordance with the universal standard, we additionally give the whole range in different appealing hues, according to the necessity of our regarded customers. 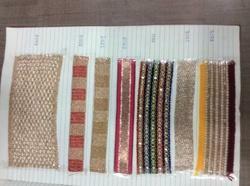 We are leading supplier of Designer Crochet Lace. 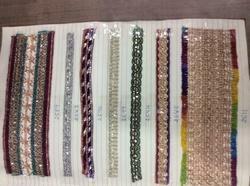 We are leading supplier of Fancy Crochet Lace.